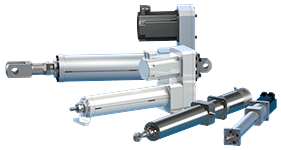 Selecting an electromechanical actuator (EMA) requires understanding the parameters for what you need it to do. However, there are only two basic types: ram-style and rodless. There are strengths and weaknesses to both and defining your operating conditions will help clarify which will be the appropriate choice for your needs.